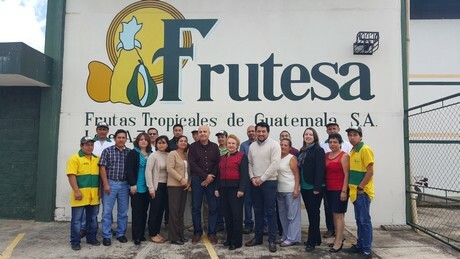 "Guatemala: "We are pioneers in the export of fresh fruit and veg to Europe"
Frutesa is a Guatemalan company devoted to the export of fresh fruits and vegetables, mainly various types of peas, French green beans and blackberries, since 1983. According to Luis Teo, of Frutesa, they were pioneers in the export of these products to Europe. 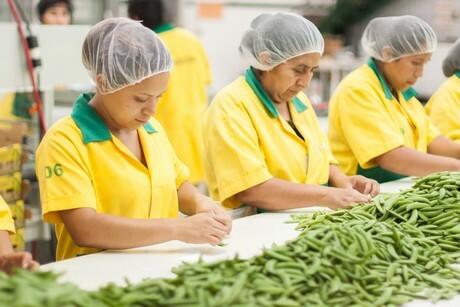 "We were the first company to export snow peas from Guatemala to the UK, and the first in the world to export sweet peas to England," said the exporter. The firm's main products are snow peas and sweet peas (also known as mangetout and sugar snaps, respectively), but it also sells French green beans and blackberries and is starting to diversify with rambutan. "We are currently working with 1,000 associated producers. We don't have our own plantations; we sign contracts with producer groups, associations, cooperatives and committees, all in the Guatemalan highlands," explains Teo. 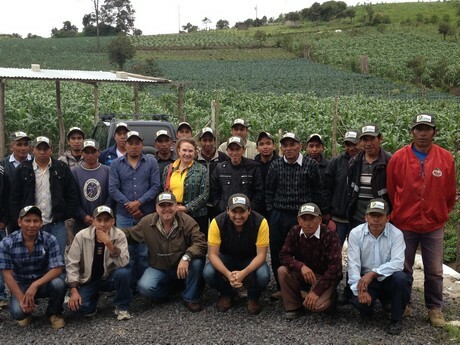 "In the contracts, it is specified what is going to be planted, when, where and by whom, and we provide the growers with technical assistance, training in the proper use of pesticides, quality issues and hygiene, and we support them financially, supplying them with agricultural inputs, pesticides, fertilizers, etc.". "Afterwards, when the season starts, we receive the produce and, once brought to our packing plant, it is refrigerated, sorted and packed according to the needs of our customers," he continues. 95% of Frutesa's sales are made to the European continent, to the UK, the Netherlands, France, Spain, Sweden, Switzerland and Germany. "We are very well established in Europe. It has traditionally been our main market and we have held relationships with some customers for more than 30 years." Frutesa sells the products under its own brand in supermarkets in Europe. Its campaign lasts from October to May/June, which is the dry season in Guatemala, when they can better control the quality and its products are exported by sea and by air. "Most shipments are made by sea. At the start and end of the season, when we do not have much produce, we export by air, because the products are not yet strong enough to endure 21 days of maritime transport. At that time, there is also very little volume from our competitors, mainly Africa (Kenya, Zimbabwe and Egypt) and Peru, so we can afford the air transport costs," explains Teo. "Peru is in our off-season. The Peruvian export campaign lasts from mid-June or July to October," he explains. "Zimbabwe is also starting now, and Egypt has a relatively short campaign, from December to March. Kenya is present all year round, but it usually faces weather issues and its production is not very stable." The season is coming to an end. "The start of this campaign (2015-2016) was quite difficult, because we had a very dry rainy season, and all the rain expected for that period was recorded in late September, October, November and even December, causing severe damage to our plantations and big production losses," he explains, adding that the delay caused by these weather conditions pushed prices up at the beginning of the season, as Guatemala was practically the only country supplying the market with sweet peas and snow peas, and the customers needed the product urgently, so they exported by air. This year, the situation has already become normal again. The trader states that there is currently enough demand, as well as moderate growth. "Now consumers are more health conscious and want to consume high quality products that comply with all European regulations." In any case, the company plans to diversify with a new product. "Last year, we started marketing some rambutan, especially in the Netherlands, although it was at the end of the season, in October. This time, we will start next month, in early June," explains Teo, adding that there is demand for this exotic fruit. "Our Dutch customer was very happy with the quality and this year wants to continue working with us." The company's certifications include the GlobalGAP for its fields and the HACCP for its packing plant; it also has social and corporate responsibility certifications. "We just had our audit; it went pretty well," concludes the exporter. 2016-05-31 "New generations look at agriculture from a business standpoint"
2016-05-31 "Argentina to increase kiwi exports"
2016-05-26 "Latin American countries need to work together to gain strength overseas"
2016-05-25 "What do you need? We'll produce it"
2016-05-23 "Peruvian green asparagus are already available in China"
2016-05-20 "China is the main threat in the garlic market"
2016-05-16 "Guatemala: "We are pioneers in the export of fresh fruit and veg to Europe"
2016-05-12 "Peru focuses on grape production with better returns"
2016-05-11 "Mexico: "Exporting avocados to Asia and the US is equally interesting"
2016-05-10 "Mexican consumers are becoming familiar with asparagus"
2016-05-09 "Peru: "We are ready to export our pineapples and green bananas"
2016-05-06 "Our main goal is for producers to become self-sufficient"
2016-05-05 "Ecuador: "It's sad that the banana industry is not promoted as it deserves"